Feng Shui originates from China, so it’s hardly a surprise to see Fu Dogs and Chinese Lions flanking the entrances of their buildings, or magical Dragons and Pi Yaos adorning their pillars and walls. But modern Chinese developers have taken symbolic feng shui to a whole new level with their buildings these days! Our special correspondent brings us this feature on some of the more interesting buildings in China – buildings that have obviously taken inspiration from some of the more prominent symbols of auspicious good fortune! If you plan on visiting China, these are excellent spots to include in your itinerary and to take some fabulous pictures. Just standing next to these buildings can bring you and your family some instant good fortune! 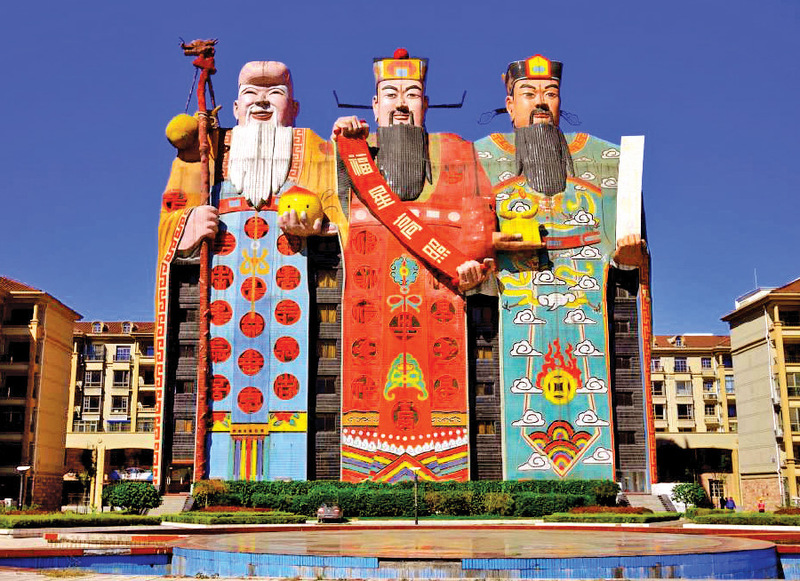 If you want to enjoy Health, Wealth and Happiness while visiting Beijing, consider staying at the hotel where the entire complex features the FUK LUK SAU – the Taoist Gods of Health, Wealth and Happiness! This is the Tianzi Hotel in Hebei Province, which was built sometime around the year 2000. As you can see, the entire façade of the hotel is in the image of the three famous Taoist Gods that bring auspicious good fortune. Present in almost all Chinese homes, Fuk Luk Sau symbolize everything auspicious to the Chinese, and this building place the three Taoist Gods in great prominence indeed. The building is ten stories high and holds the Guinness World Record for the “biggest image building”. Even the name of the hotel “Tianzi” has auspicious connotations – it means “Son of Heaven” – probably a great place for weddings or newly-weds who want to spend their honeymoon making babies! In this building, the centre block features the God “Fuk” who wears a red robe and brings happiness and good fortune. The deity on the right – “Luk” offers abundance and prosperity; while “Sau” the God of Longevity is the old man on the left holding the staff of longevity decorated with the Wu Lou and a peach on his left hand. Curiously, interior photographs of this hotel are hardly available on the Net – so you’ll just have to visit the building to see what it really looks like inside! Zoom over to the city of Shengyang in the Liaonang province, and you can see this 24-storey office block located in the heart of the financial district there. It was designed to symbolize the shape and capture the auspicious connotations of the traditional Chinese Coin. The name of the building means “HOUSE OF MONEY” with “Fang” being house, and “Yuan” being the name of currency used in China. 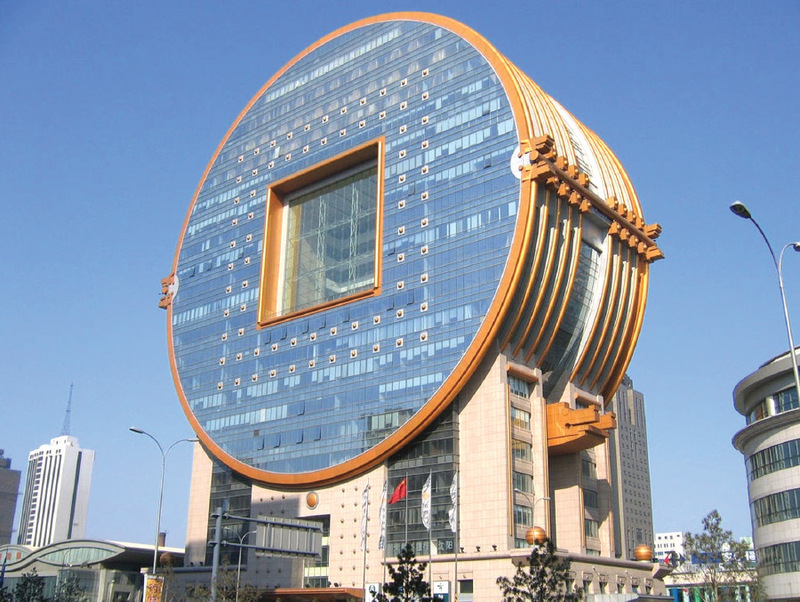 The Fang Yuan building in China takes inspiration from the traditional Chinese coin. Built in 2001 with a total floor area of 48,000 square metres, this iconic structure was the brain child of Taiwanese architect C.Y. Lee, who has a string of architectural accomplishments under his belt – one of which is the tallest skyscraper in Taiwan, Taipei 101. Clearly, Mr Lee has acute artistic appreciation for the traditional Chinese coin, as the 101 building in Taiwan also features many of the same symbolism. 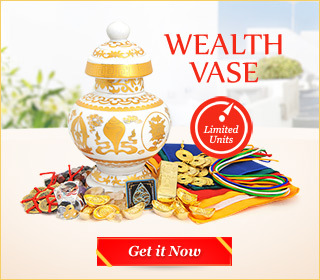 The old Chinese Coin is considered an extremely auspicious symbol of prosperity as the same design has been used as money for more than a thousand years. The outer meaning of the design connotes wealth, but the deeper meaning behind the coin’s design symbolises harmony between heaven and earth. The circular shape of the coin represents the element of METAL and also signifies Heaven; while the square shape in the centre embodies the element of EARTH, and indicates the grounded plane of Earth. 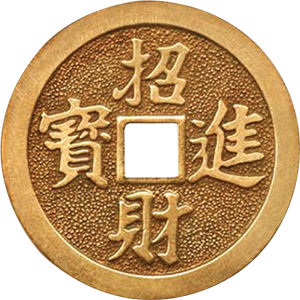 The coin offers the meaning of “earth protected by heaven” so it is also used in I-Ching divinations that offer insights from heaven above about the “future events of Earth below”. If you love classical music, this building is sure to resonate with you. It is a must-see iconic building, a place you need to visit at least once in your life. The Piano and Violin building is dubbed “the most romantic building” in China and young couples come here to have their wedding pictures taken. 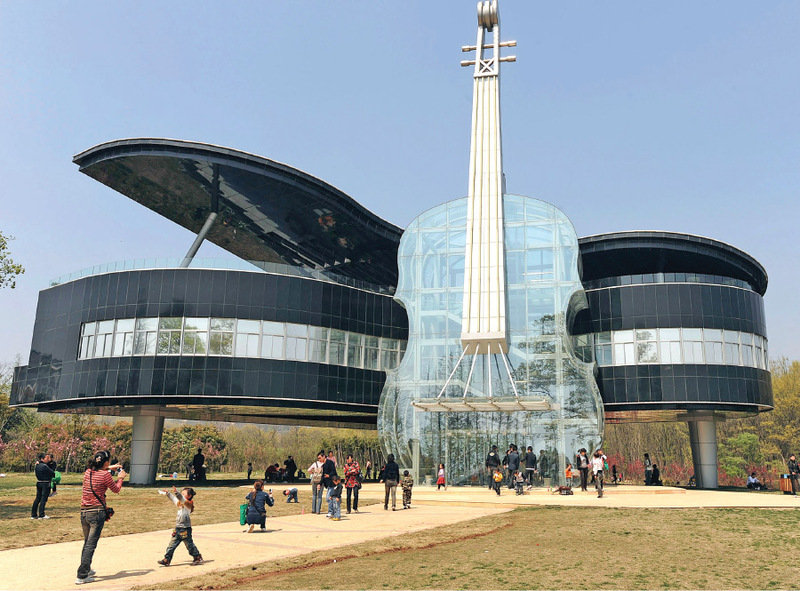 Located in the Shannan district in Huainan City, this glazed structure takes the form of a violin at the front leaning against a grand piano. 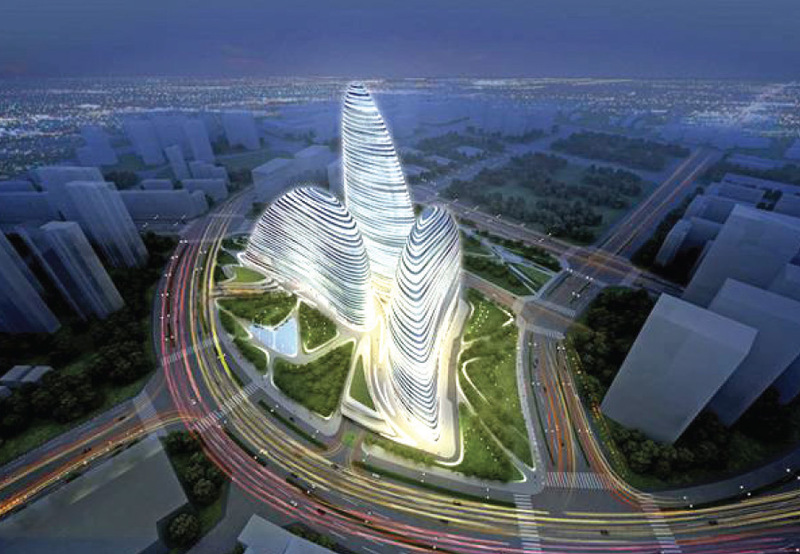 Completed in 2007, it was designed by a group of architectural students from the Hefei University of Technology. Their design statement was to create something never done before, and to have it used it as an exhibition structure to showcase their plans and designs. The result is a perfect 50:1 scaled violin and piano that is functional and also aesthetically pleasing to look at. The transparent violin is made from clear glass panels. Inside are two sets of escalators and a staircase. The black grand piano behind the violin can accommodate an exhibition area and two concert halls where regular musical performances are held. The entire structure is held aloft by three concrete “legs” and the exterior cladding is formed by interspersing hundreds of black and white/clear glass panels glass to represent piano keys. 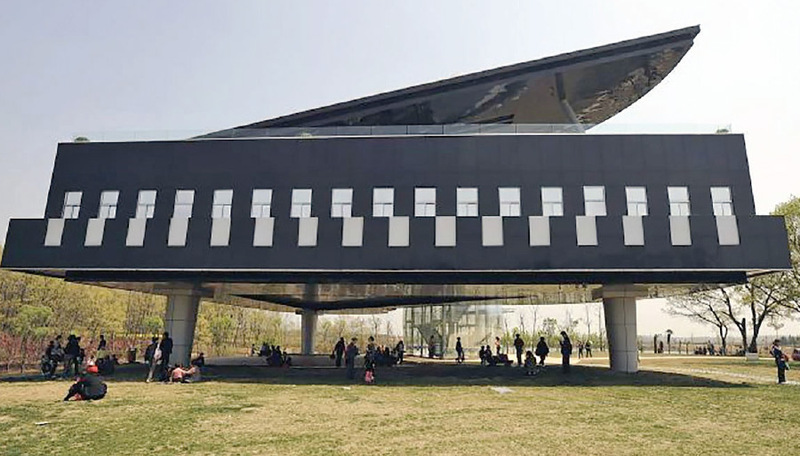 Having the Piano and Violin building here generates awesome yang energy for its surroundings and we’re not surprised that this building has become a popular tourist attraction. It is also dubbed by locals as ‘the most romantic building in China’ and young couples come here to have their wedding pictures taken! The Chinese believe that if you live in a home where you can see three visible peaks of a mountain, your descendants will grow to become prominent officials or ministers or even become a KING! Hence popular traditional Chinese water-colour mountain paintings tend to feature towering mountains which have three discernible peaks. The Soho Peaks mimic the auspicious shape of Three Mountain Peaks. 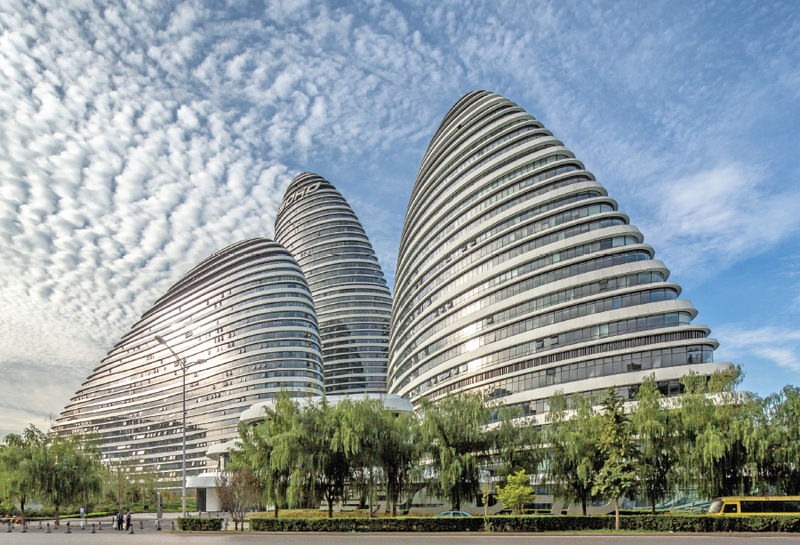 Here in the Wangjing suburb of Beijing, is the towering “Soho Peaks” that was designed to resemble different things depending on your vantage point. From the ground, they seem to simulate the auspicious three mountain peaks the Chinese love so much for feng shui reasons. Pan Shiyi, Chairman of the Board of SOHO China, said that the design of Wangjing SOHO was also meant to evoke the image of swimming Koi, the traditional Chinese symbol of wealth, luck, health and happiness (when seen from the top). From the top, the Soho peaks are meant to appear like three koi fishes swimming. Soho Peaks is located near the Beijing airport, so look out for it next time you fly into Beijing. Soho Peaks will be the first iconic set of buildings you see when you travel into the airport at Beijing, and the last building you see when you fly off. Hence it is also referred to as the “Hello and Farewell” building. Apparently, the design of this building resonated so well with the Chinese that it was “pirated” and copied by another building in China – known as the Meiquan 22nd Century building in Chongqing! This lotus building reflects the purity of the lotus long regarded as a sacred flower by Buddhists, Hindus and Egyptians. Buddhists believe many Buddhas emerge from the centre of the Lotus – especially the famous Padmasambhava who is also known as the “Lotus Born”. 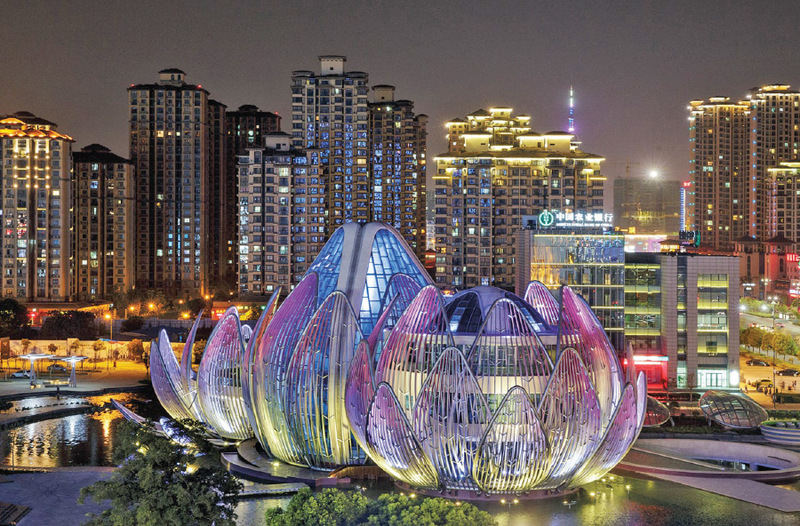 In Wujin, the Lotus Conference Centre (unveiled in 2013) is a stunning tribute to this auspicious flower. The Lotus symbolises ultimate beauty, purity, happiness and auspicious qualities that emerge perfectly even when it is surrounded by muddy waters. Designed by Australian architectural firm, Studio 505, the Lotus Building features three lotus blooms at various stages of flowering which are perched beautifully on a man-made lake. The centre flower is a lotus bud (with a seed pod within), while two other flowers show a lotus in mid-bloom and full bloom. Collectively they symbolise change and progress… from a bud to flower. The meaning of the lotus is meant to be reflected upon! It can be as subtle or as deep as you wish it to be. This lotus building reflects the purity of the lotus long regarded as a sacred flower by Buddhists, Hindus and Egyptians. The Lotus Building houses the city’s planning bureau, where all city plans are developed and building projects are approved. It is an eco-landmark with 2500 geothermal piles driven through the base of the artificial lake. This helps to reduce the building’s dependence on coal-electricity power. 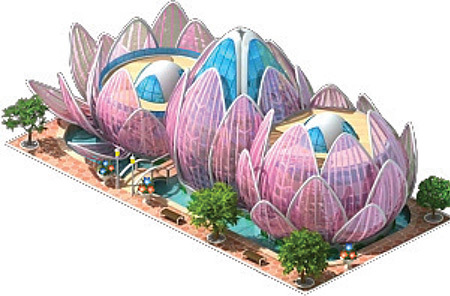 The Lotus Conference Centre in Wujin features three lotuses in different stages of flowering. Next articleDid The August Solar Eclipse At The Start Of Hungry Ghost Month Cause Rain And Fire To Befall North America?